April maybe the month of April showers but it is also the month where good things happen too. The tulips blossom in the garden, the evenings are lighter and the Easter bunny visits. 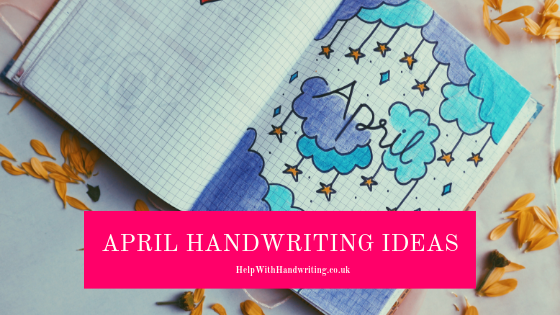 Although children are often on their ‘spring break’, as it is called in the US, or ‘Easter holidays’ in the UK handwriting activities can still be incorporated into your family life. The key to improving handwriting is to keep them fun. A child’s imagination needs to be engaged. What can my child write about? Do not worry I have done all the thinking for you. By looking at historical events from April and linking them into the present day we have 8 different ideas. Each one should take no more than 5 to 10 minutes to complete. The ideas range from writing a TV review, writing about Guy Fawkes to making an A to Z list of different sports played. 3rd April – In 1953 the first TV guide was published. Can your child write a TV review of their favourite programme? April 6th – In 1896 the first modern Olympic Games took place. How many Olympic sporting categories can your child name? 9th April – In 1867 the United States of America bought Alaska from the Russian Empire. They paid $7.2 million. How many states of America can your child name? As there are 50 in total, this could also be a good web quest category. A web quest is when your child looks on the internet to find the answer. 13th April – Remember, remember the fifth of November? In 1570 Guy Fawkes was born. What does your child know about Guy Fawkes? Why don’t you ask them to write at least one paragraph about this man? Alternatively they could write about what happens on the 5th November in United Kingdom. 17th April – In 1937 Daffy Duck first appeared in Porky’s Duck Hunt. How many famous animal characters can your child name? They can be from a book, cartoon, play or film. 21st April – In 753 BC Romulus and his twin brother Remus founded Rome. How many capital cities can your child name? To make it a little more difficult you could ask them to name these in under 30 seconds. 23rd April – In 2005 the First YouTube video was uploaded. It was titled “Me at the zoo”. Can your child write about the last thing they saw on You Tube? Make sure that they describe what they liked and possibly did not like about it. 25th April – In 1947, President Harry Truman opened a two lane bowling alley in the White House. How many sports can your child write? Ask them to make an A to Z list seeing if they can find a sport for every letter of the alphabet. To give you a head start there is Archery, Badminton, Climbing and so on. 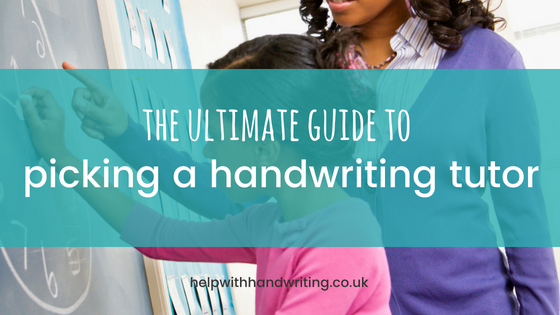 Handwriting is best improved if it is done ‘little and often’. If it is a real rainy day your child could do them all at once. Although I’m hoping for less April showers and more sunshine. I hope you and your child have fun completing these activities. Do post a comment below as I’d love to hear how your child has got on with these suggestions.